I am getting ready for my second craft fair and, again, I’m feeling a bit nervous! Will I have enough stock, am I focusing on the right items, am I making too much of this and not enough of that? Oh dear, I know it will be grand in the end, but you always have those thoughts at the back of your mind until you are set up and running the stall on the day. I had a great experience with the Christmas Fair in Kinvara, so I’d like to try and jump into another fair. I’ve decided to make a few things that children might like, like pencil cases, tin whistle pouches, hairbands, covered notebooks, etc… I think I will also be selling my quilled bookmarks and cards… so I contacted Aylin, from Aylin Nilya, a blog that I have been following for a while, who gave me the green light to use her Sleeping Bag pouch tutorial to make a few for selling at the Fair. Aren’t these bags fantastic? I love that they can stay wide open so you can find the right coloured pencil while still keeping everything tugged in. They’d be great as a make up bag too. 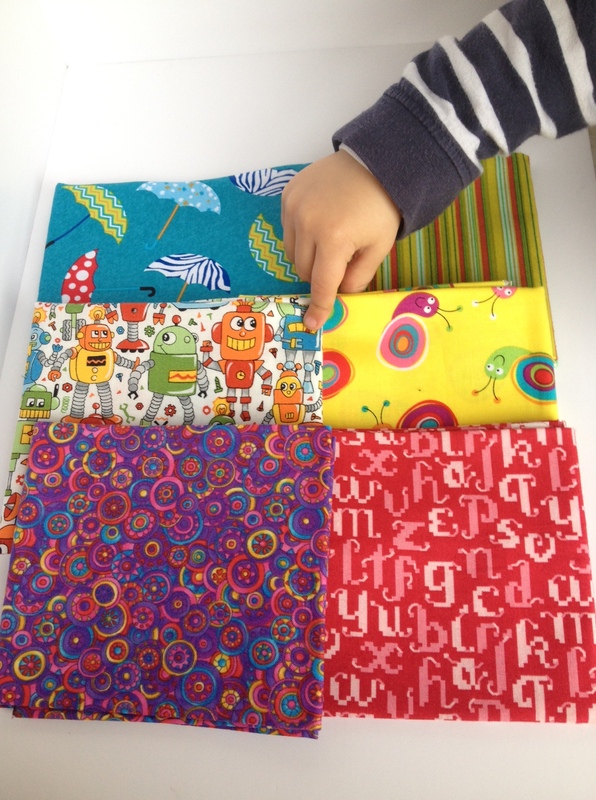 I realised I needed some more school-aged friendly fabric and headed over to The Quilt Shop in Tuam. There I met Sonia, who happens to have an Etsy shop too. She was really helpful and this is what I left with (I could have spent more time there if I hadn’t had Mr F. and the Little Button waiting in the car). 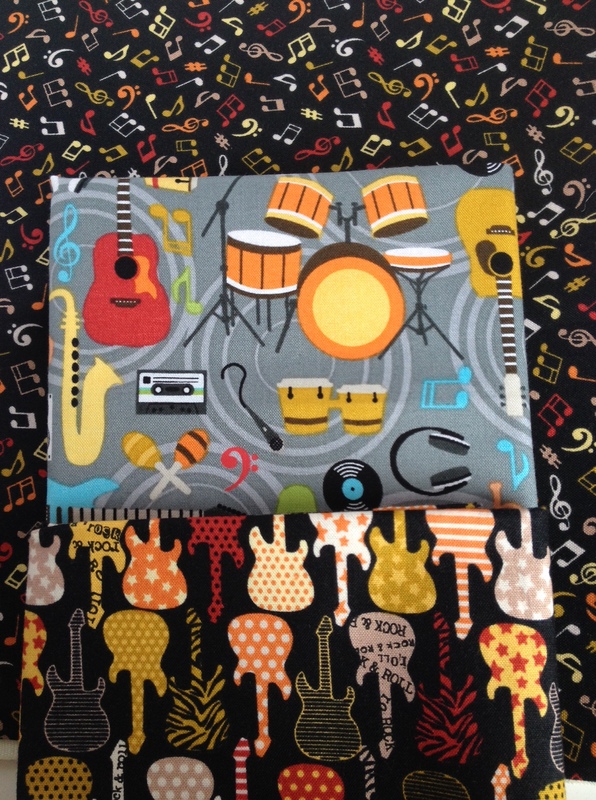 I still have to make the tin whistle pouches, but this is the music themed fabric I found for them. I love the notes and the guitars! 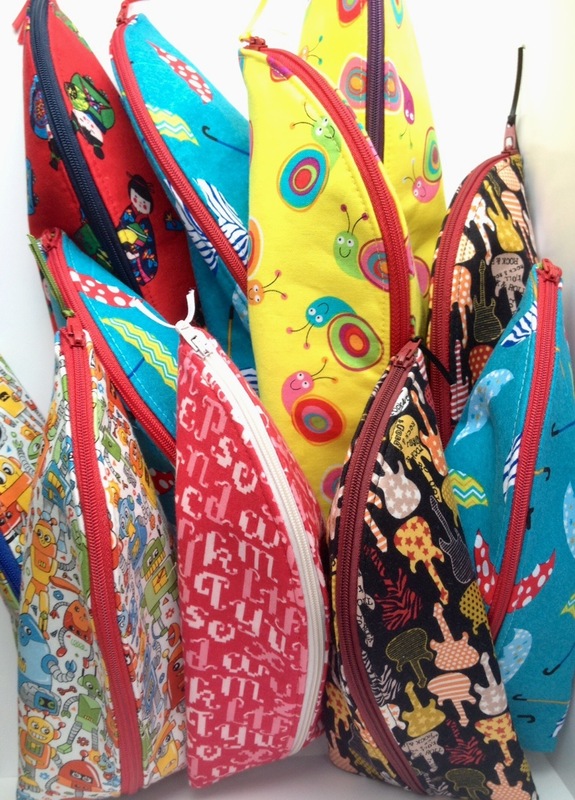 So far I have made a few sleeping bag pouches. Aylin’s tutorial is pretty easy to follow and although it calls for an endless zipper, you also have the option to use a long normal zipper. That is what I used and I thought I’d share a tip on it if you decide to try and make one too. 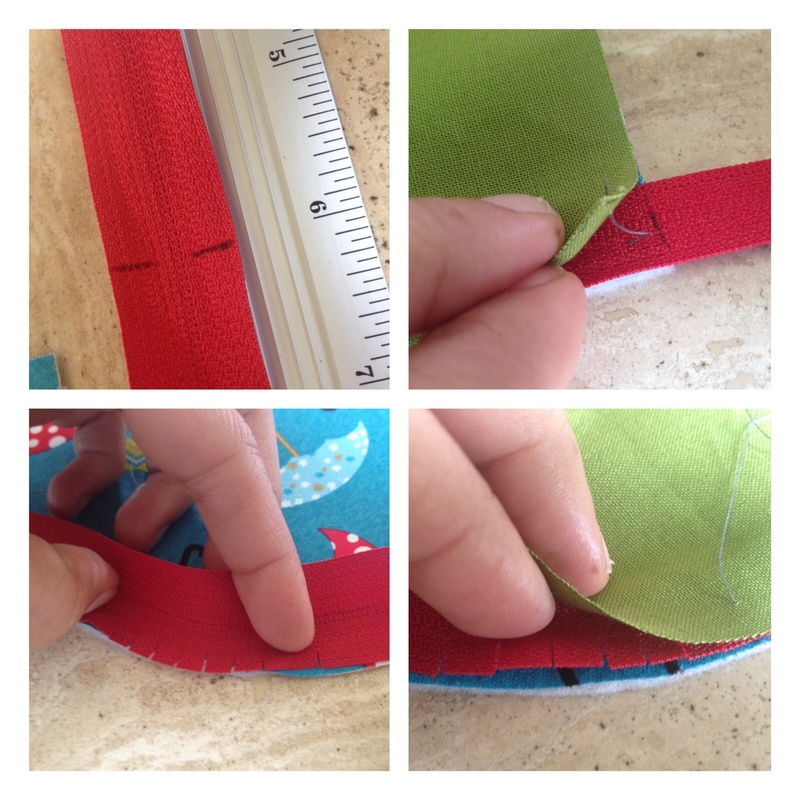 I used a 22″ zip, and made a mark at 6″ from the end, so I know where to start sewing. I also clipped all around the length where it starts to go along the curve, so it is easier to lay it flat. I sandwiched the zipper between the lining and the outer fabric and hand basted the three layers before sewing them using the zipper foot. That’s all. I loved making these bags, they seem tricky enough with the zipper, but I’d like to try to make them with an endless one. I think it will be easier anyhow and I already placed an order for some of them in this Etsy shop . Go over to Aylin’s blog and have a look at her work, she has some fab tutorials! 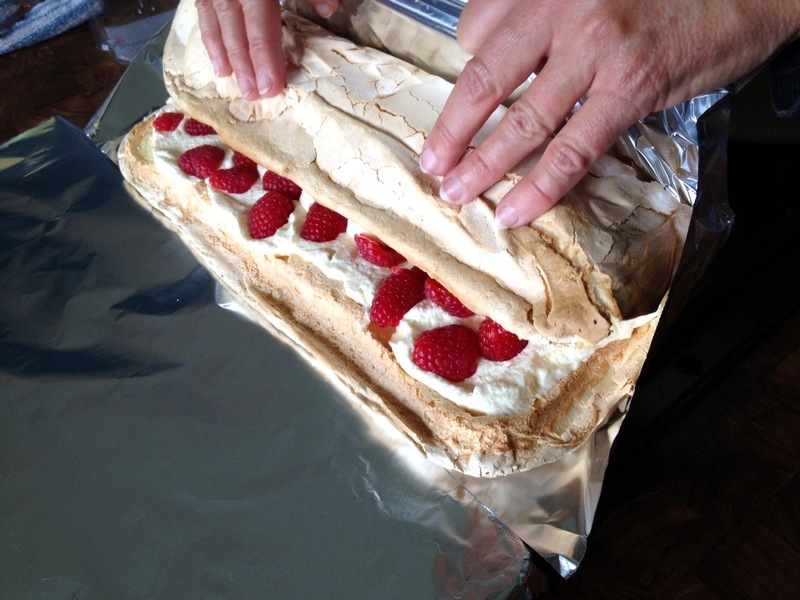 Here’s the traditional Berry and Cream Roulade that my friend always makes when we’re celebrating birthdays. So because today it is Conor’s 2nd birthday, (remember this, this and this…?) Wow, two years today… this little busy man decided it was time to see the world. What a quick birth it was. He was really in a hurry, and still is… I promise I’ll son show you how handsome he is (just like his ma, ha!). So I asked my friend to teach me how to make it and also share it here with you. I made one last Saturday and took photos of every step. It was gone in… 2 hours? I’ll be making a fresh one later on today and I think it won’t last that long. 1. 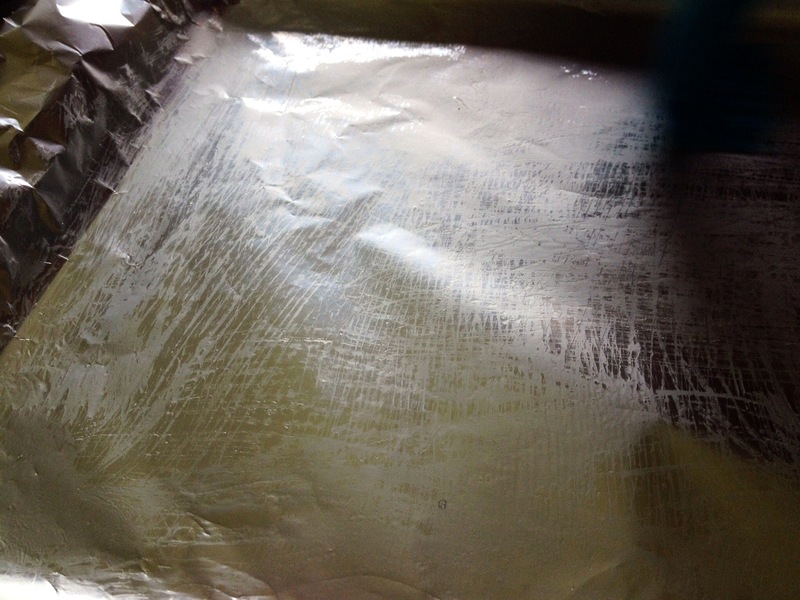 Preheat the oven at 180C (mine has a fan and I found that I need to turn it down at 170C) .Prepare a shallow rectangular baking tray lined with tin foil and very slightly oiled with a brush. 2. 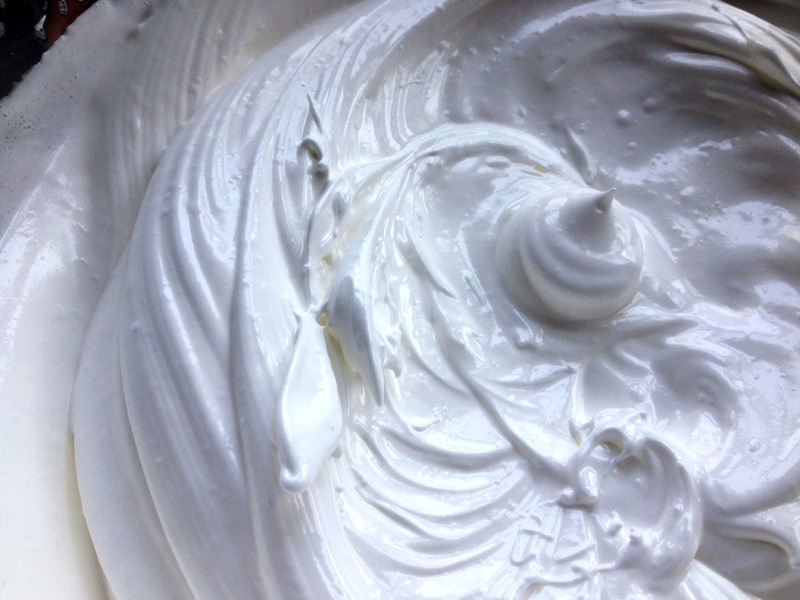 Beat the egg whites until white and stiff with an electric mixer and add the sugar gradually. You will need to mix it FOR 10 MINUTES, at least until they very stiff. 3. Pour the egg mix onto the lined tray and spread it all over with a spatula. See how thick it is? 4. Bake for 15 minutes sharp, no more no less. (Mine here was a bit over done at the edges, so that’s why I’ll turn down the heat a bit and stay within the 15 minutes), to be honest, I’d rather ave it slightly over done than under. 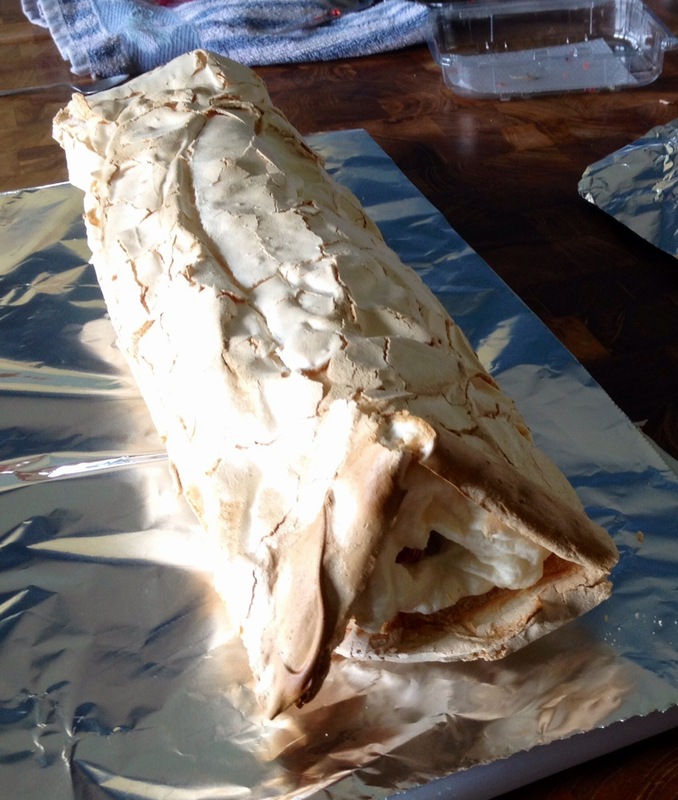 Take it out and place it onto a rack (still within the tin) to cool down. It will sink and crack, that’s ok.
5. 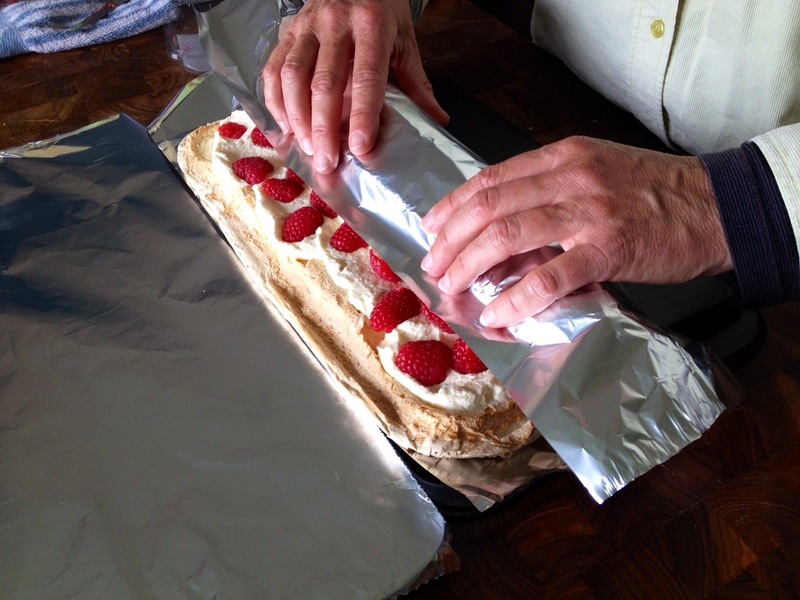 Lift it with the foil and place it from the tin onto a flat surface. Cut another piece of foil and place it on top of it. 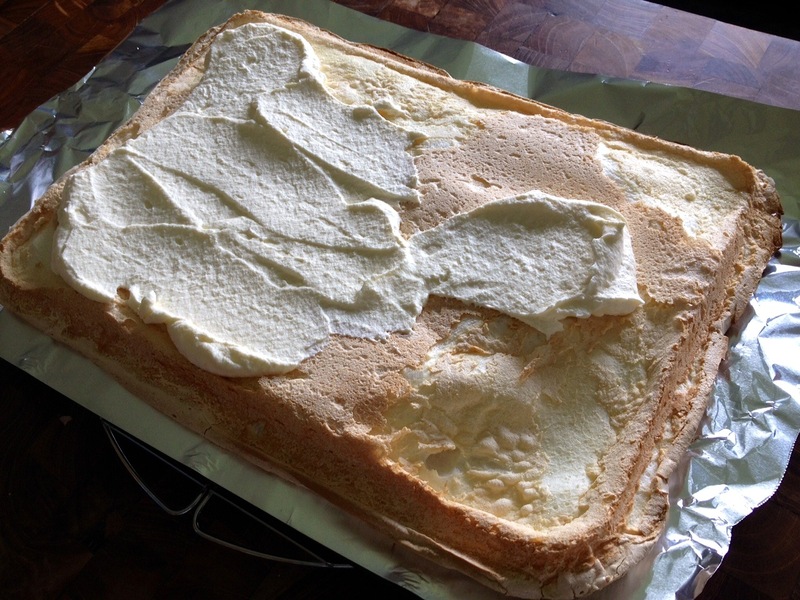 Use the back of the rectangular tin to put it on top and help you flip it over so it now lays onto the back of the tin. 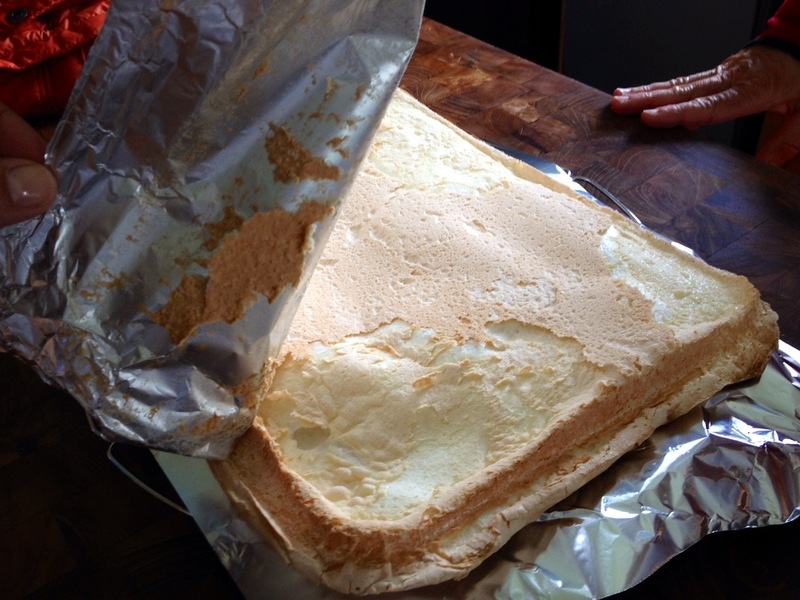 Carefully peel off the foil. 6. 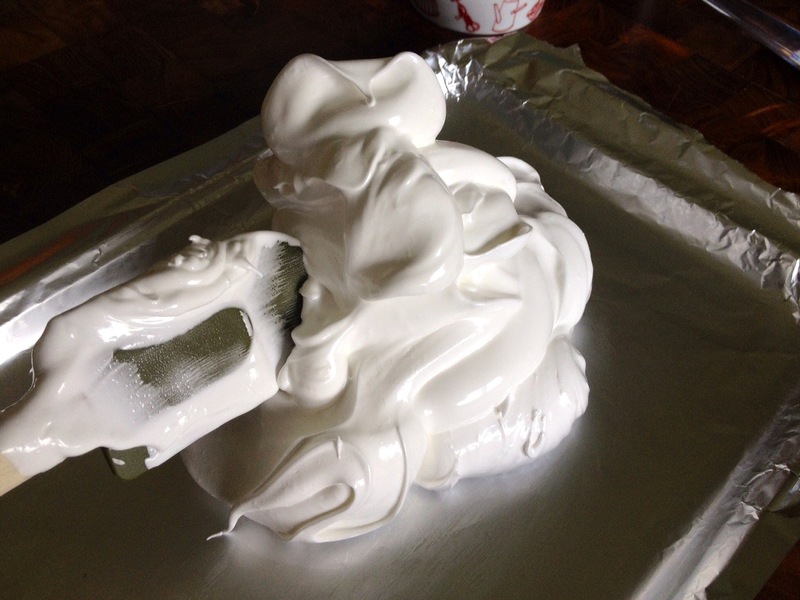 Whip the cream until stiff and spread it all over. 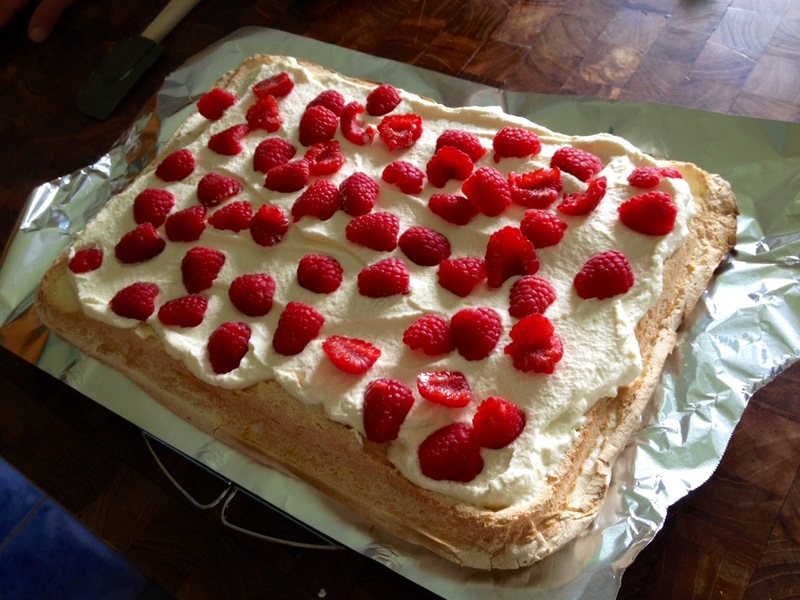 Cut the raspberries in half and scatter them over the cream. Transfer onto another surface to be decorated and that’s it. 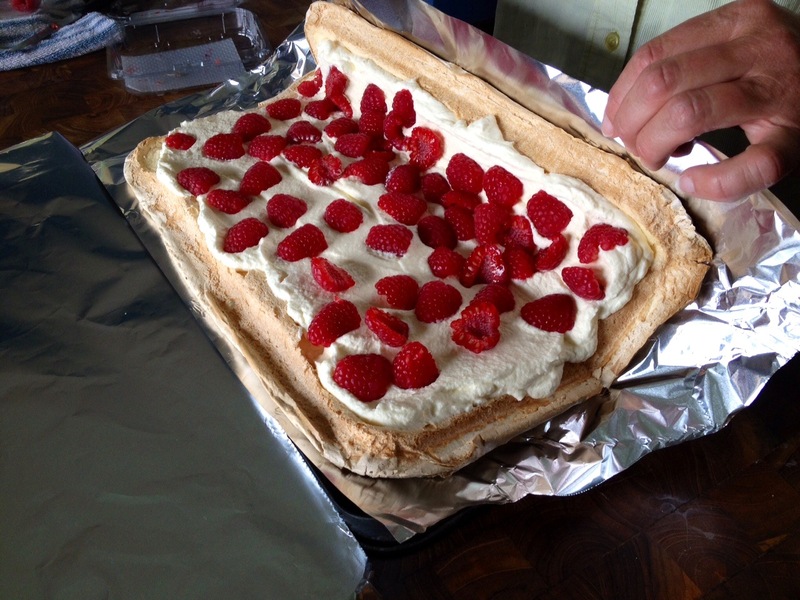 You can put a bit of cream on top so the berries can stick into place. Enjoy! That was a pretty intense week! Did you find any new blogs to add to your reading list? I did! Thank you to all the new followers. I hope you come back often and tell me what you are working on or even link your blog so we can all have a look. It was nice to read all of your comments, there were 159 in total. There was a comment with a lovely message. This reader liked the snails card and she said it would serve as a reminder to her younger one that reading is not a race. I liked that :-). Some of you mentioned you would frame the card. I have been thinking of making bigger size quilled cards to frame. I used to do that a looooong time ago, before I knew how to use a sewing machine, and I made a few lovely animal samplers for nursery walls. I will make a few for my own children’s rooms as a trial and I’ll see how it goes. Congratulations CaLynn! I will contact you shortly so you can tell me where I am sending your goodies. I’ll be hosting more giveaways so everyone will have another chance to win more handmade things. Thank you for stopping by, I think you will all be very busy with the Bloggers Quilt Festival during the next few days, enjoy! Hello! 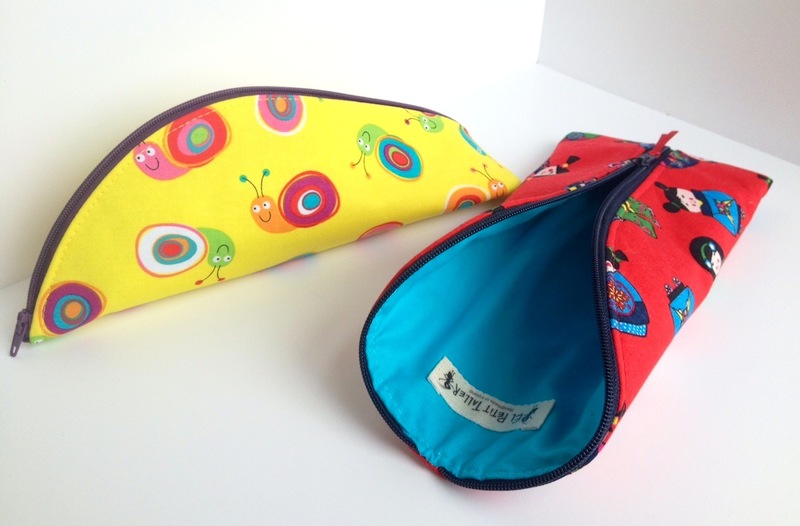 Welcome to El Petit Taller and Sew Mama Sew May Giveaway! 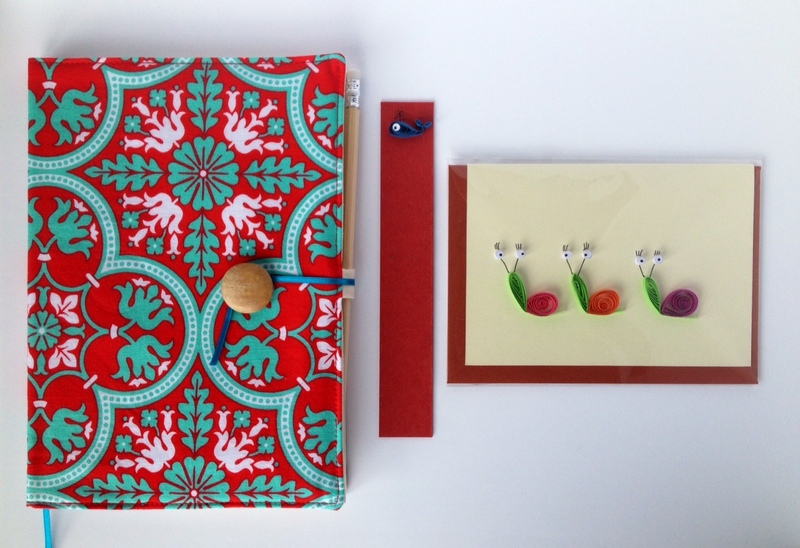 I am offering one of my fabric covered notebooks, a card and a bookmark. I hope you can find a good use to all three things. 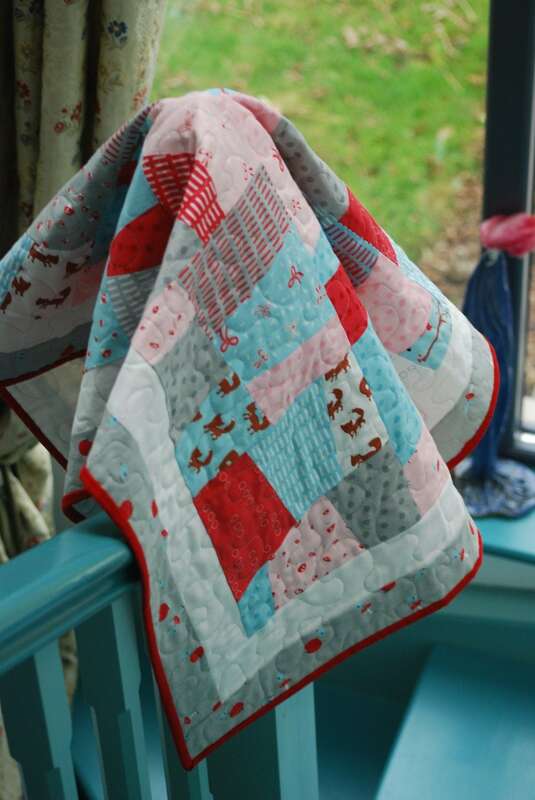 I used Joel Dewberry fabric for the reusable cover, I love these two colours and I think the print is really beautiful. There’s an old vintage wooden button as closure. The notebook inside has ruled pages and you can use a new one of a similar size (A5) when you’re done with this one. I make the quilled cards and bookmarks with no tools other than my fingers. I roll the strips of coloured papers and shape them to make different animals. I have made a good few new ones lately that you can see at my Etsy shop. So what are the rules? Very simple. Everyone in the world is welcome to enter this giveaway. It will be open until Friday 16th at 10pm (Irish time) and I will announce the winner here and in my Facebook page on Saturday 17th. 1. Write a comment telling me what would you do with the prize if you win. Will you keep them all, will you send the card to someone… I’d like to know where they might end up! That’s all, no more rules! But I’d love it if you can have a look around before you go and tell me what you think and maybe decide you can support by becoming a follower here or on Facebook (buttons here on the right side). 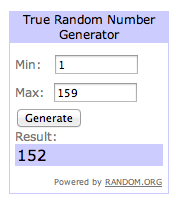 Thank you for stopping by and don’t forget to visit Sew Mama Sew to enter more giveaways!